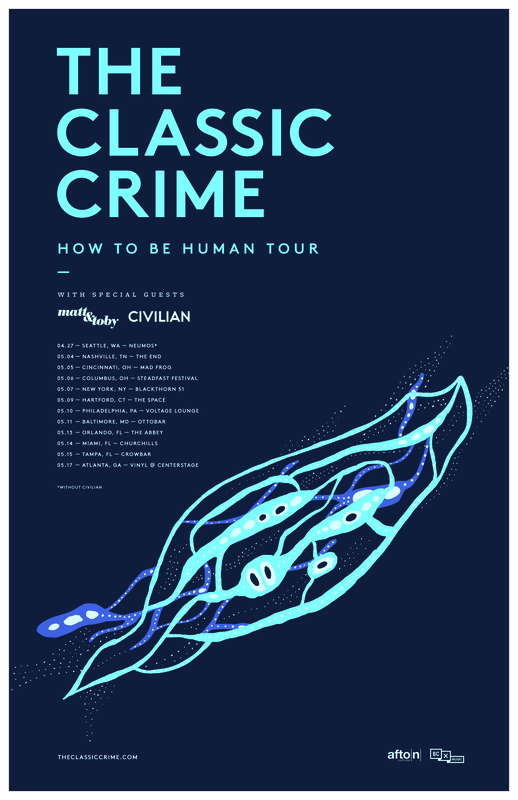 Five years have passed since The Classic Crime released their highly acclaimed album Phoenix, and now the Seattle rock group is back to unleash their fifth studio album, How To Be Human (Out April 28 via BC Music). The album was completely funded via Kickstarter, with over 2,500 backers, tripling the original goal. Album pre-orders begin on March 20 via PledgeMusic. In the meantime the band is excited announce their ‘How To Be Human’ Tour, kicking off in April year and leading into May. Opening bands on the 12 date tour will include Matt & Toby and CIVILIAN.